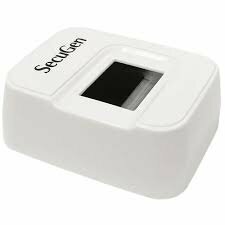 The Hamster Pro 10 is SecuGen’s new ultra-slim, high image quality USB fingerprint reader that is FBI Certified as meeting FIPS 201 (PIV) and Mobile ID FAP 10 requirements. Featuring a low-profile and an IP54 rated dust- and water-resistant design, the Hamster Pro 10 is built with the industry’s most rugged and advanced optical sensor using patented fingerprint technology. The Hamster Pro 10 can be used for authentication, identification and verification functions that let your fingerprints act like digital passwords that cannot be lost, forgotten or stolen. SecuGen provides free SDKs that support the Hamster Pro 10 for Windows, Linux, and Android applications. 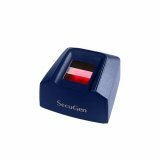 All SecuGen SDKs include the tools that enable fingerprint registration, matching, and related biometric functions.